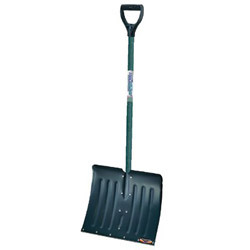 Clear a path quickly with this handy snow shovel. 18" aluminum blade. White-ash handle with poly D-grip. Tool Type: Snow Pusher; Application: Clearing Snow; Applicable Material: Snow; Style: Snow Pusher. Shovels, Spades and Parts from Jackson Professional Tools! 380 In Stock today.